"Grammy-winning (and lead guitarist in Beatle Paul McCartney's Wings) Laurence Juber releases his third collection of his celebrated solo acoustic arrangements of Beatles tunes. Produced by Hope Juber and remixed by legendary engineer Al Schmitt at Hollywood's Capital Studios, the recording showcases Juber's unique acoustic guitar touch and tone on this collection of Fab favorites: And Your Bird Can Sing. Lucy in the Sky with Diamonds, She Loves You, Day Tripper, Hey Jude, I’ll Follow the Sun, If I Needed Someone, It’s Only Love, Ticket to Ride, And I Love Her, Hey Bulldog, Something, Don’t Let Me Down & Honey Pie. GRAMMY-winning guitarist Laurence Juber is a solo performer, recording artist, composer and arranger. His playing fuses folk, jazz, blues, pop and classical styles, creating a multi-faceted performance that belies the use of only one instrument. A music graduate of London’s Goldsmith’s College, he was featured guitar soloist with the National Youth Jazz Orchestra before becoming established as a studio musician in the mid-1970’s. First internationally recognized as lead guitarist in Beatle Paul McCartney's Wings, with whom he won a Grammy, Juber has since established himself as world-renowned guitar virtuoso and entertainer. Juber, known to his fans as LJ, has recorded more than two dozen albums which spotlight his unique touch and tone on acoustic guitar. 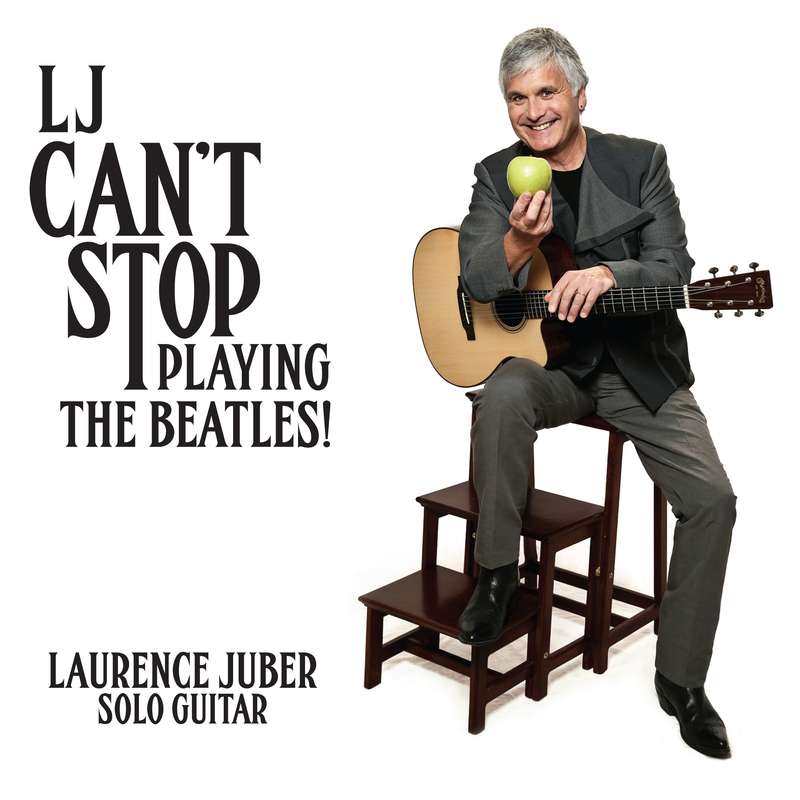 March 2017 will see the release of LJ Can’t Stop Playing The Beatles, his third album of solo guitar arrangements of iconic songs by the Fab Four. His 'photo memoir' Guitar With Wings was recently published by Dalton Watson Fine Books. As a studio musician, he can be heard on recordings from artists as diverse as Dan Hicks & The Hot Licks, Seal and the French chanteuse Sylvie Vartin, plus he is featured on the soundtracks to hundreds of TV shows such as Home Improvement and movies including the academy award-winning Dirty Dancing, Good Will Hunting and Pocahontas. Juber co-composed the soundtrack of the award-winning video game Diablo III and scored the NBC Dateline documentary Children Of The Harvest. His music is also featured in the Ken Burns’ documentary The Tenth Inning. 176.4kHz PCM remastered for high resolution enjoyment using our propriety SEA process.